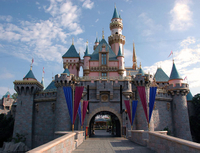 Disneyland Paris tickets - Buy Disneyland Paris pass online now! admission for Disneyland Park and Walt Disney Studios. Genuine discounted tickets for Disneyland Resort Paris. Buy 1-Day Pass and 2- to 5-Day Hopper tickets for Eurodisney. Tickets delivered to your door. Disneyland Paris 4 days for the price of 3 days! 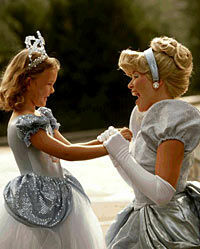 Disneyland Paris 5 days for the price of 4 days! Visiting Orlando for just a week? The Disney Premium tickets offer five days unlimited entrance to Magic Kingdom Park, Epcot, Disney's Hollywood Studios and Disney's Animal Kingdom. Visiting Orlando for just a week? Purchase your Disney Premium tickets for seven days unlimited entrance to the major Disney Parks. The Walt Disney World Resort is truly a magical vacation destination and the perfect place to create cherished memories that will last a lifetime. "Disneyland Paris Day Trip for Two"
"Jump aboard Eurostar for a day out at Disneyland Paris!" "Disneyland Paris Day Trip for Four"
"Jump aboard Eurostar for a day out to remember! "